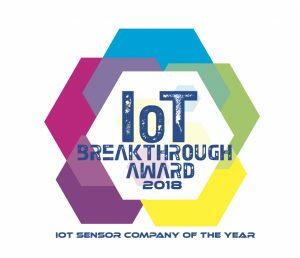 THIEF RIVER FALLS, MN, USA and LEUVEN, Belgium, Jan. 9th, 2018 – VersaSense, today announced that it has been selected as winner of the 2018 “IoT Sensor Company of the Year” award from IoT Breakthrough, an independent organization that recognizes the top companies, technologies and products in the global Internet-of-Things (IoT) market today. The VersaSense Wireless Fabric consists of software, networking and hardware elements that can be combined to securely deliver sensor data to IoT platforms or enterprise back-end systems. With VersaSense you can IoT-enable your plant or facility in a matter of days and radically reduce the total cost of ownership for industrial sensing and control systems. Plug & play IoT solutions from VersaSense power and secure the Industrial Internet for major industrial, consumer goods, technology and agricultural companies across diverse Industry 4.0 application domains.